PLEASE NOTE: If you selected Free Economy Ground Shipping, your order will arrive within the time promised. However, you will not receive a tracking number until the order is actually shipped from our warehouse, which can be 2-3 days after you placed your order. All returns are subject to a 20% re-stocking fee and 30 days from delivery. The restocking fee covers the cost of our order processing and restocking process. If you wish to retain store credit, the restocking fee may be waived. Please inquire for details. Items you wish to return MUST be approved prior to your return. Contact us for an RMA and specify your reason for return. All return inquiries must be sent to us within 14 days of receiving your order. Approved Returns MUST be sent back to us within 30 days of receiving your RMA. Shipping, handling, and transaction fees are non-refundable. No returns, cancellations, or refunds are allowed on special order items. Once items have been returned to us, and the condition has been inspected and approved, a refund will be issued. Approved refunds are issued within 2-3 days. Exchanges are subject to second shipping charges unless there was a mistake made on the order. If a mistake was made by Funktion™, we will provide a return shipping label for you to use to make the exchange as seamless as possible. Funktion Performance strives to offer the widest selection of quality products and the most competitive prices available anywhere. 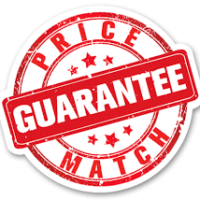 If you find a lower price for any of the items available on our website we’ll match that price. THE ITEM IN QUESTION MUST BE IN STOCK IN THE SAME STYLE AND COLOR AND AVAILABLE FOR PURCHASE AT OUR COMPETITOR’S WEBSITE. Please us at 704.681.8017 during our office hours to cancel an order. We process your order electronically. Therefore, your order may be processed immediately. Please contact us immediately at 704.681.8017 if you wish to change or cancel your order. Do not assume we will see your e-mail in time as we get hundreds of e-mail messages per day. We will make every effort to stop the processing of your order. Your order must be confirmed by a Funktion customer service representative if it has not shipped from our warehouse or the manufacturer or distributor. Once confirmed, you will be issued a credit or refund minus cancellation fees within 7 business days. Items are considered special orders if they are not normally stocked items. For example, if an item needs to be ordered from the UK, or an item is made to order. Special orders may require a deposit. No returns, cancellations, or refunds allowed on special orders. NO EXCEPTIONS.